Apple’s latest operating system, iOS 7 brings many new features, among one of those, is a new and improved spotlight. Spotlight has always been a simple way to find and search through content. Apple officially debuted Spotlight in OS X Leopard. iOS ultimately inherited Spotlight. With iOS 7, Apple has redesigned spotlight. To access Spotlight in iOS 7, simply pull down from anywhere (on your homescreen). This is an action similar to pulling down notification center. 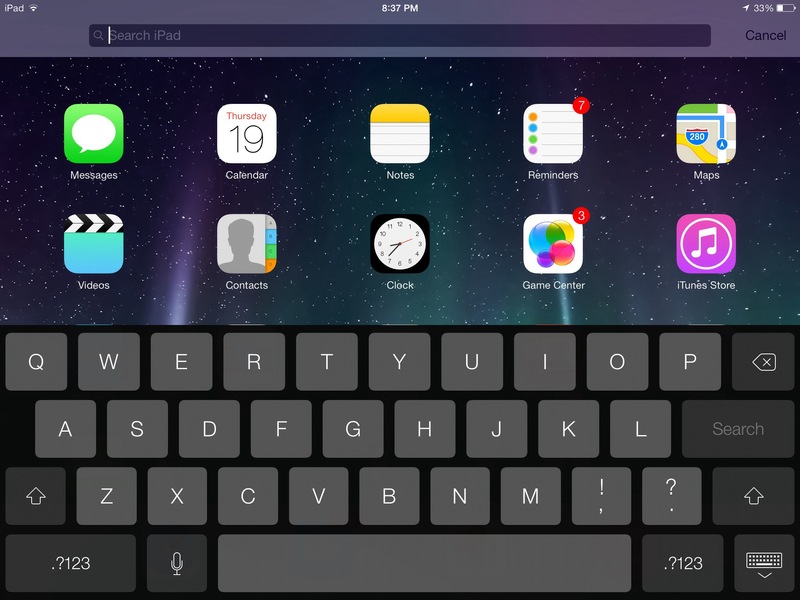 Spotlight will appear with the new iOS 7 keyboard. In iOS 6 and below, spotlight could be accessed by sliding one’s finger to the right. As with the rest of iOS 7, spotlight has been redesigned with a flat, simpler user interface. Let us know what you think in the comments below!